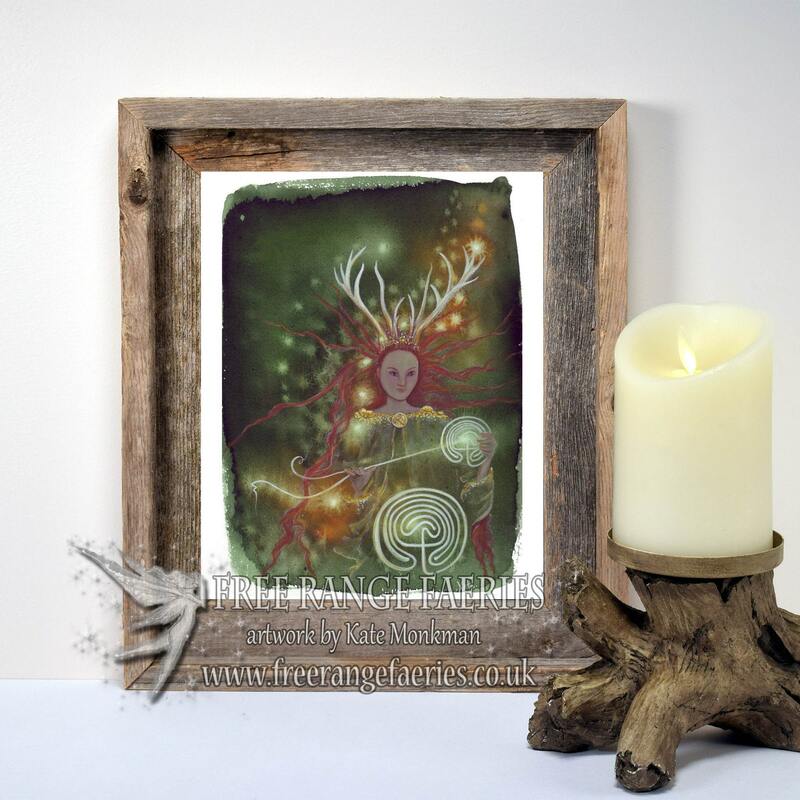 The ancient antlered goddess Elen of the Ways is linked with the balance of the energies of the land and is said to be a Sovereign Goddess and a protector of the British Isles. She is mentioned in the Welsh Mabinogion where she was a beautiful Roman Queen, in this form she is said to have had four Caers (Castles/Forts) built and connected them with a series of trackways known as Sarn Helen which parts of can still be walked on to this day. 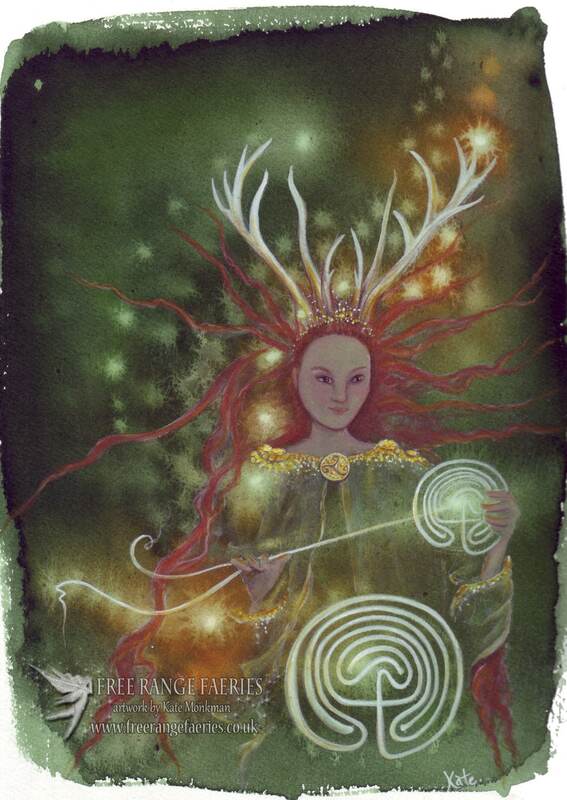 However her legend can be traced back much further into the depths of time when the British Isles were part of the ancient Boreal forest that covered much of the Northern hemisphere, here she is linked closely with the ancient Reindeer migratory trackways so important to our early ancestors. Just what I was looking for. You are a very well loved artist. Many thanks, once again.